I had heard such places existed but had never seen one. Now I was just two miles from seeing one. Just off I-26 near Ridgeville, South Carolina, I began to see signs. I followed them, took a side road, and the place came into view. Time for a deep breath. Old photographs of Nazi concentration camps came to mind. It was an illusion, of course, created by the way the old cabins sit shoulder to shoulder. Dark clapboards, rusty tin roofs, and stark chimneys strengthened the impression. 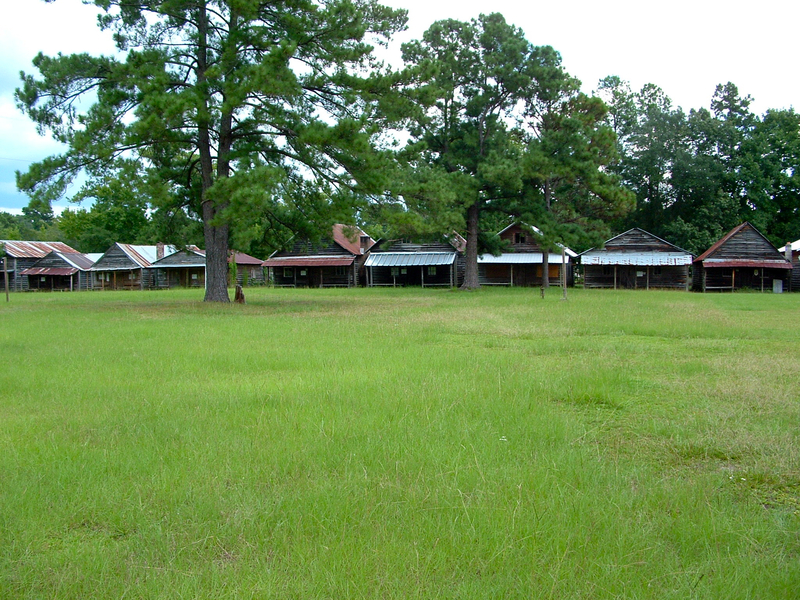 The Marietta Camp Ground has had an annual camp meeting since 1837. In the old days for months before camp, “Tenters were busy preparing for camp meeting. In the early days, spinning and weaving and making cloth into garments consumed much time, for there were no sewing machines and all this was done by hand. Water buckets were of cedar, many of them homemade. They were scoured with soap and sand until they were bright and the brass hoops looked like gold. All campgrounds have such histories and tons of hard work behind the scenes. 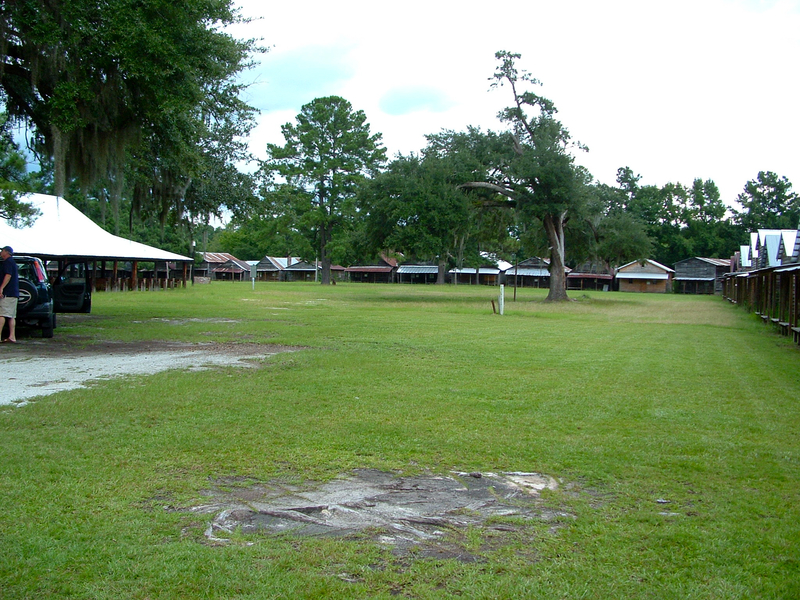 Cypress Methodist Camp Ground, one of a few campgrounds in South Carolina, continues to host annual weeklong camp meetings. Georgia and South Carolina’s annual gatherings are a carryover from the Great Awakening in American religious life that swept through the American colonies in the 1730s and 1740s. The Awakening led people to “new birth,” inspired by preaching the Word. The afternoon was steamy and there I was on Holy Ground in the Lowcountry down Jedburg way. 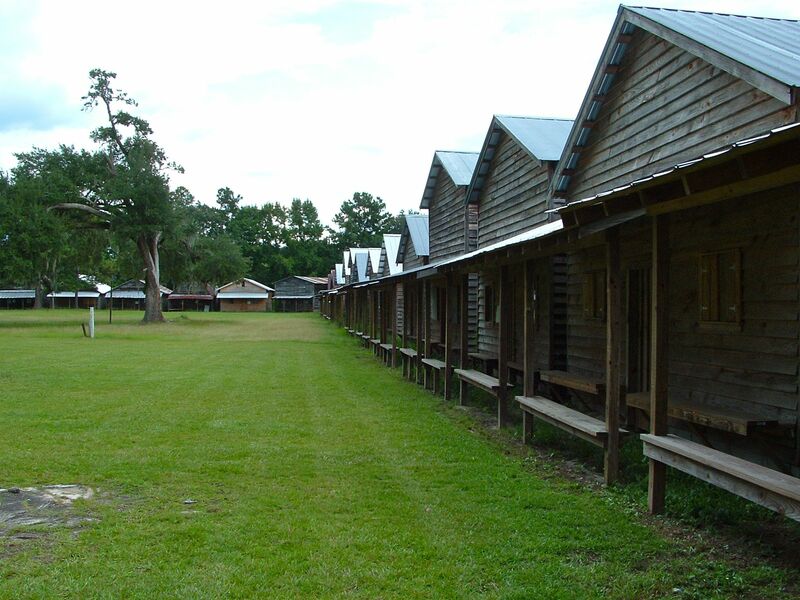 Driving up and glancing at Cypress Methodist Camp Ground, it looked too like a shantytown, though, of course, it isn’t. Cypress Camp Ground, I’ll shorten it, has a beauty all its own and it’s no flash in the pan. Folks have been gathering here to sing, pray, and hear the gospel for 219 years. Families own the tents and specific guidelines determine how they are passed down. It’s an heirloom, a heritage. I parked beneath a big oak dripping Spanish moss and walked the grounds, trying to imagine what a meeting must have been like in the old days. Had to be full of sounds, sights, and sensations. Gospel songs ringing out. Maybe an old foot-pedal organ too I figured. Greens and sweet potatoes cooking. Lots of good food and conversation. Way back then I have no doubt the aroma of venison floated over the grounds. For sure, far-flung families looked forward to a bit of a reunion. Kids played and laughed while old folks caught up. And at day’s end they “camped’ in the rough-hewn tents. I stood in the campground’s center and looked in all directions. It takes the general shape of a rectangle bordered by “tents.” Didn’t count them but should have. I heard there are thirty-four. Calling the rough-hewn wood cabins “tents” is a carryover from the days when people slept in canvas tents. These cabins, roughly rectangular, are generally 1.5 stories with earthen floors. A small stairway or ladder leads to the upper story. Several cabins stood out because of their fresh wood. In April 2008 a late-night fire burned five cabins and damaged a sixth. A month later another fire started where the first one was stopped and eight more tents burned. Had to be the work of firebugs though it was never officially deemed arson. Anyone burning houses dedicated to the Lord had better like burning sure enough. In the center of the rectangle stands the tabernacle, an open-sided wooden structure. It looks a lot like a shelter in a state park. Its pews, washed by rains blowing in, are weathered and worn smooth by many a rear end. A storm was blowing in this late-August Friday afternoon and all pews sat empty awaiting the rain sure to come. Jagged bolts of blue crackled to the north, cutting short my explorations but not before I checked out the nearby cemetery. 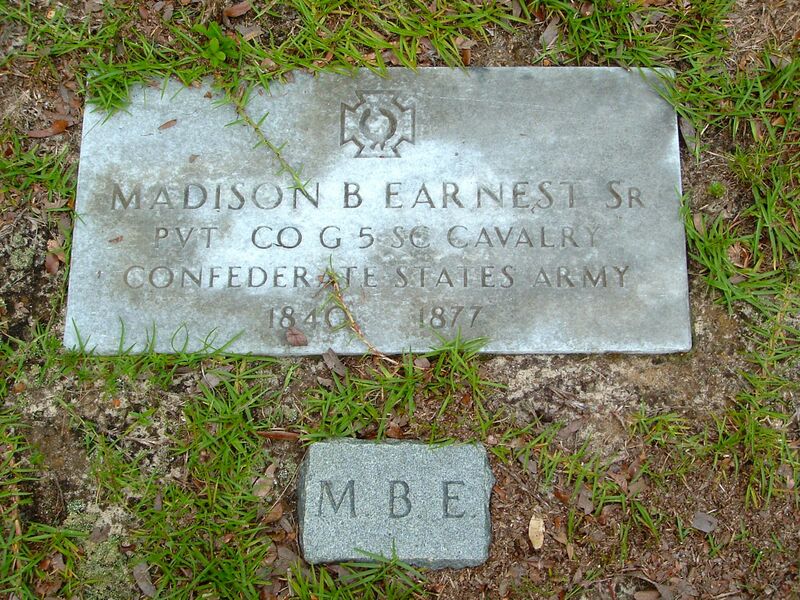 In it are a good many graves of Confederate soldiers. I’ve come across many graves of the boys of Dixie this summer and last. We all know the War Between the States was the costliest war of all in terms of American lives. It took me a long time to see evidence of this grim fact but I’m now starting to see a lot of Maltese crosses and small confederate flags throughout South Carolina and Georgia. Across the lane running along side the campground stands a row of around a dozen privies. Lined up they look like an old-fashioned version of the plastic portalets we see at football games and festivals. The old wooden outhouses possess more class by far. The door of one outhouse stood open, as if someone had just paid it a visit. A vine hung from the ceiling like Christmas garland. Some were padlocked and two had wildflowers blooming yellow in front. Using one with a neighbor perched next door requires a bit of courage I’d imagine. The people come though and use them they do. “Cachet.” Being admired, a mark of status. The tents allowed people to stay overnight, and the campground term remained even though rough-hewn cabins gradually replaced the tents. 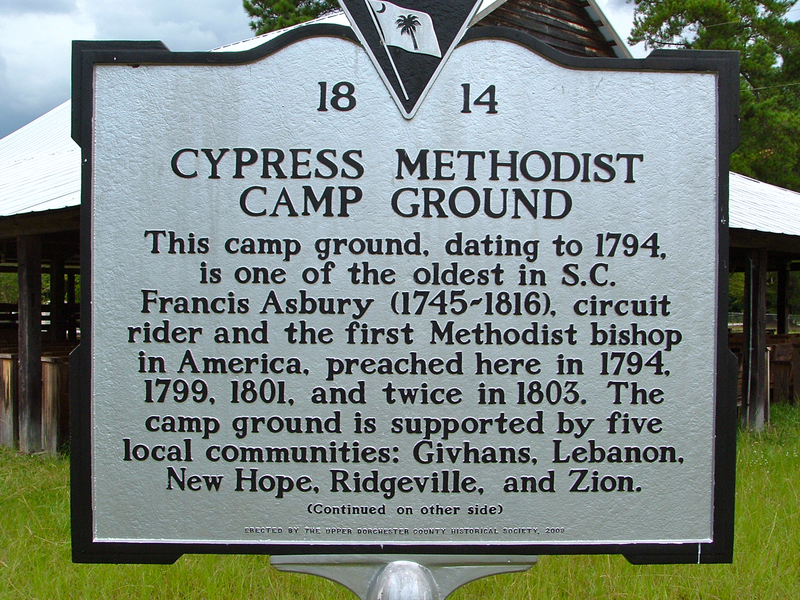 Cypress Camp Ground opened in 1794, and an adjacent cemetery contains graves from the early 1800s. 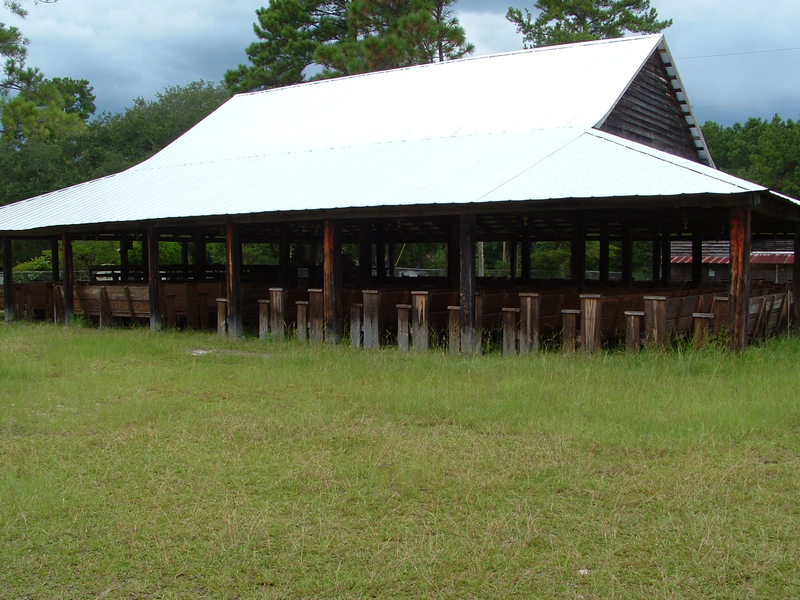 This old campground is on the National Register of Historic Places. And deservedly so. A friend’s family owns a tent at one of the campgrounds. I told her Robert Clark and I wanted to participate and document it for our book, the very last photos we’ll take. Expect to hear more from me on this unique experience. Other campgrounds are close. Near St. George is Indian Fields Campground and you’ll find Cattle Creek Campground near Rowesville. Still other campgrounds are off the beaten path but you seldom hear of these throwbacks to the days when folks would live and pray together a week at a time. That old-time religion. It’s rural, it’s passionate, and it carries on. Then as now it was a time for the Lord and a time for family. It was a time to stand over the graves of loved ones. More often than not it was hot and sometimes cold. The winds cut right through the boards. Sleep did not come many nights but each morning broke with hope in the air. Those words carry the weight of well over 200 years. It was and is a lot of work and I’m glad people carry on the tradition, living in a rustic religious way for a week once a year. They don’t need plumbing, televisions, or air conditioning. Just that old time religion. It’s good enough for them. WOW!! There is one in Franklin County that I didn’t know existed until a couple months ago. I want to go back and spend some quiet time there. and thank you for a beautiful portrayal of our heritage! Some of my best memories. Wonderful times with family and friends. Nothing like the old hymns which are still my favorites. Also some of the best food ever!!! Thanks for stirring fondest memories of Camp Meeting at White Oak Campground near Thomson, Georgia, for me, where folks are still camping, eating, singing and praising Jesus in McDuffie County~!